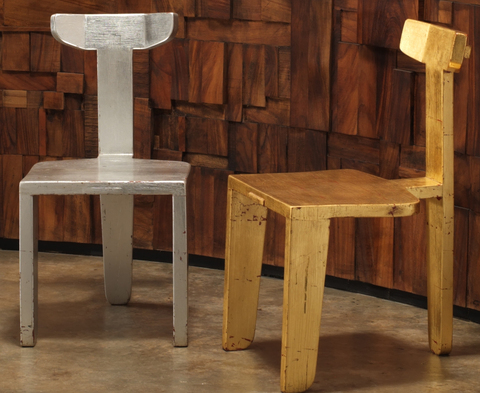 Seating becomes art and art becomes seating thanks to Glassford's visionary silver- or gold-leaf chair. The linear aspect of the chair's design is enhanced by the sheen and light-catching nature of the metallic finish. Signed edition.